Right-click the Start button and select Control Panel. Go to Clock, Language, and Region > Language. 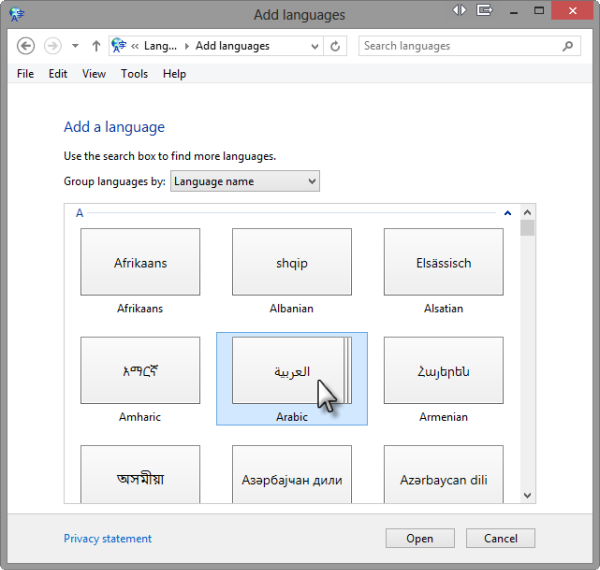 Double-click the language you want to add. 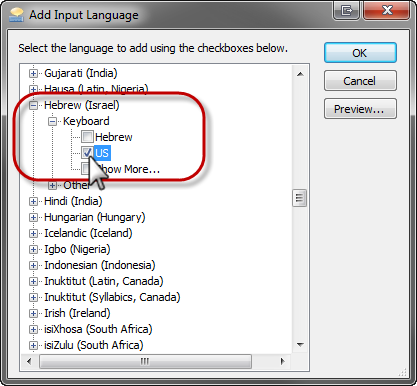 If you're presented with a list of nationalities for the language you selected, choose a country, then click Add. Press Windows Key+X on your keyboard to display the Tools Menu, then select Control Panel. Or, right-click the lower left corner of your monitor to display the Tools Menu, then select Control Panel. Go to Start > Control Panel > Clock, Language, and Region > Change keyboards or other input methods. Click the Change keyboards button. On the General tab, click the Add button. Scroll to the language you want to use and click the plus sign to expand it. Click the plus sign beside Keyboard and select the nationality you want to use.